All class bookings are made on our BookWhen website. 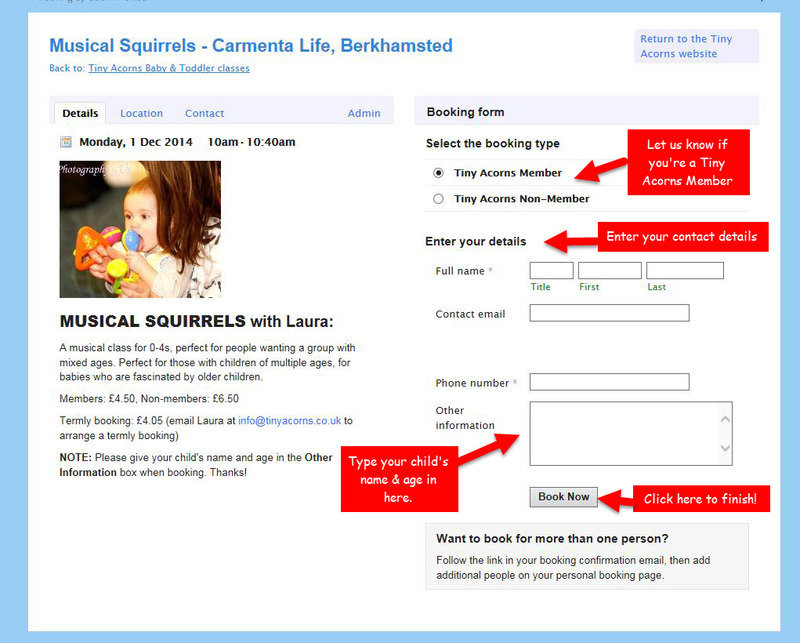 Details of how to book through the site are below. Please note, once booked and paid for, classes can not be refunded under any circumstances. Subject to availability and providing you let us know a minimum of TWELVE hours before the class, we will endeavour to transfer your payment to another class in the same week. It is not possible to transfer payments to any other week. Booking a class indicates your acceptance of these conditions. 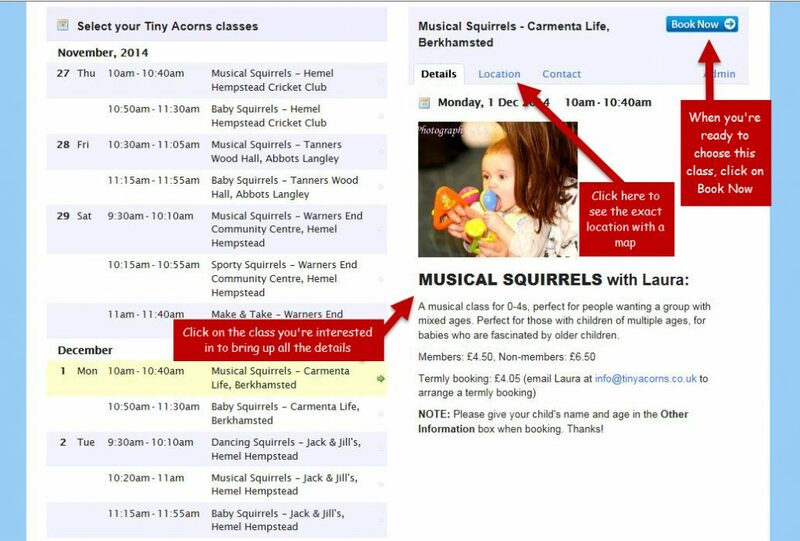 1) You’ll receive an email from Tiny Acorns within 30 minutes to confirm your booking. 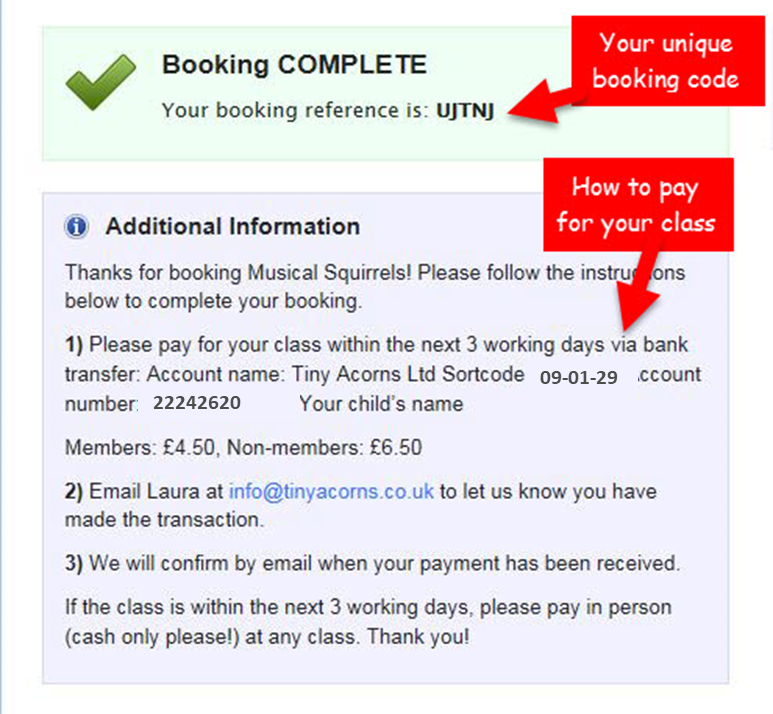 3) Email Laura at info@tinyacorns.co.uk to let us know you have made the transaction. 4) We will confirm by email when your payment has been received. If the class is within the next 24 hours, please pay in person (cash only please!) at any class.